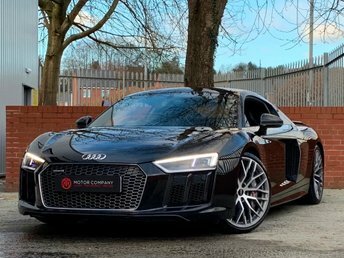 PAN ROOF - SUPER SPORTS SEATS - BLACK STYLING PACK - FULL AUDI SERVICE HISTORY!!! Finished In Nardo Grey With Full Black Fine Nappa Leather Upholstery And Contrast Crescendo Red Stitching. Full Audi Main Dealer Service History With No Expense Spared With The Vehicles Maintenance. 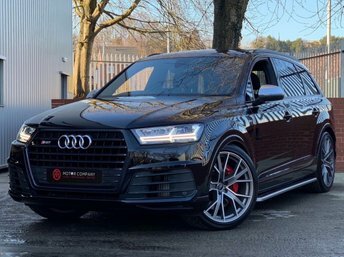 Option Extras Include: Panoramic Glass Roof, RS Super Sports Seats With Contrast Stitching, Black Styling Package, 19x8.5J 5-arm Rotor Black Alloys, Brake Callipers In Red, Black Roof Rails And Heated And Folding Mirrors. A Grade 1 Vehicle Both Mechanically and Cosmetically With A Very Desirable Specification And In Arguably The Most Sort After Colour Available On Today's RS3 Market. Please Contact Us For More Information., 2 owners, 5 seats, FREE NATIONWIDE DELIVERY - 5.4% APR FINANCE AVAILABLE - 12 MONTHS WARRANTY!! !